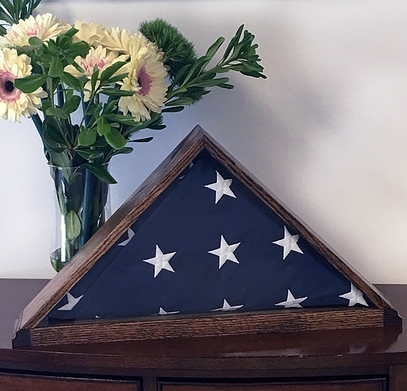 This flag, with embroidered stars and sewn stripes, was flown over the entrance of Monticello on July 4, 2018. It is encased in a handsome flag box made by a Virginia artisan using wood from a red oak that once grew at Monticello. The flag box measures 21 ��w x 11 ��h x 3 ��d. United States flag measures 4 x 6. Both items are made in the U.S.A.